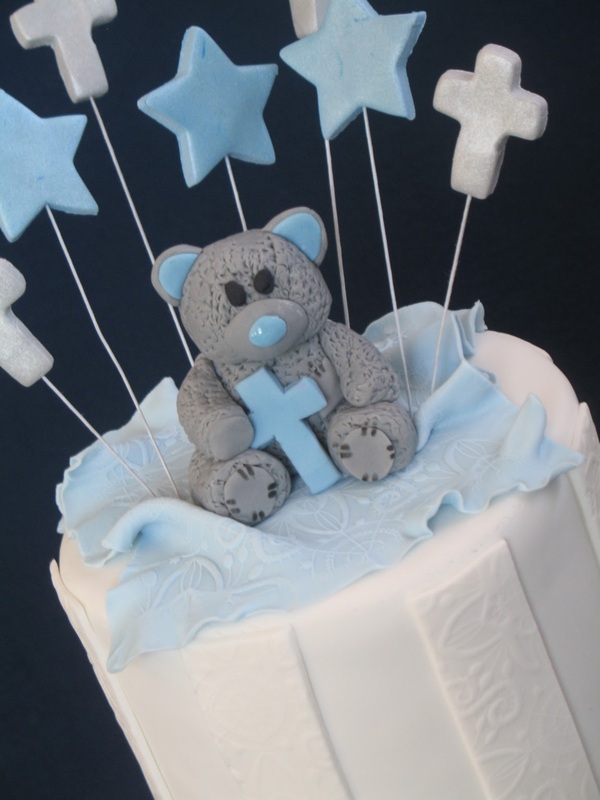 This 3 tiered Christening cake was made for a special little boy, Thomas and his beautiful family, Michelle & Spiro, to celebrate this wonderful milestone in his Christian life. 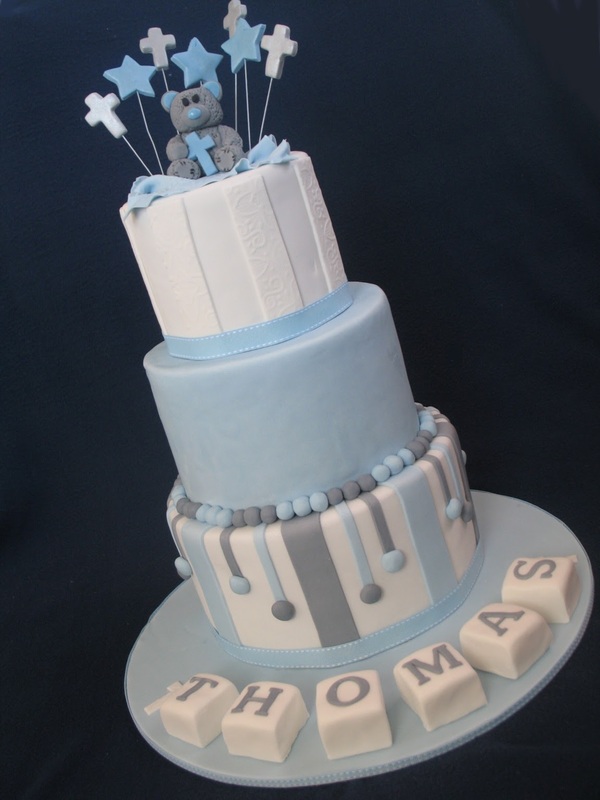 The muted grey and blue tones matched perfectly with the grey cuddle bear the topped the cake. The bottom tier is jaffa mud with chocolate ganache. 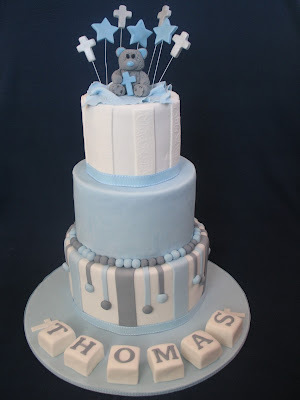 The middle tier is vanilla cake with white chocolate ganache. 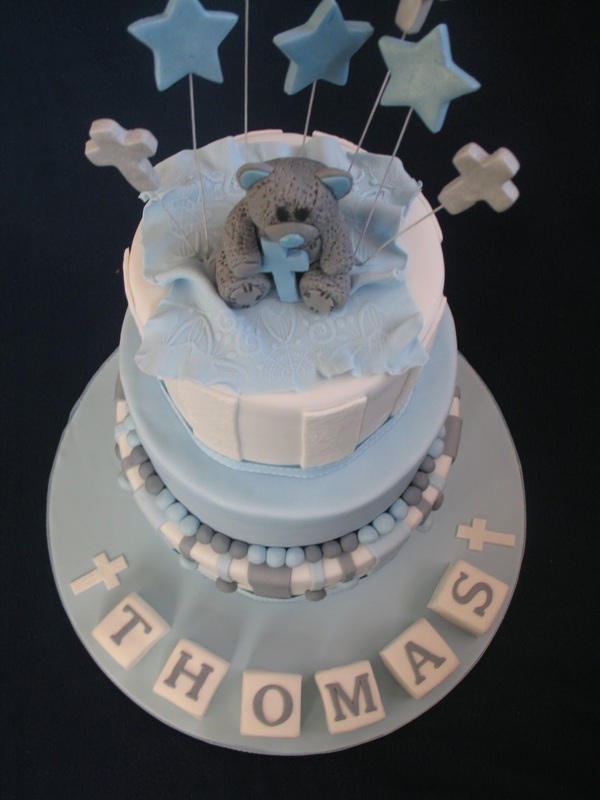 The top tier is marbled chocolate/vanilla cake with chocolate ganache. Looking down over the bear to the letter blocks. Congratulations on your Christening Day.